Because we need a place to send Kerbals to watch terrible movies, can anyone get a replica of MST3K's Satellite of Love into orbit around Kerbin? Anything but HyperEdit goes. 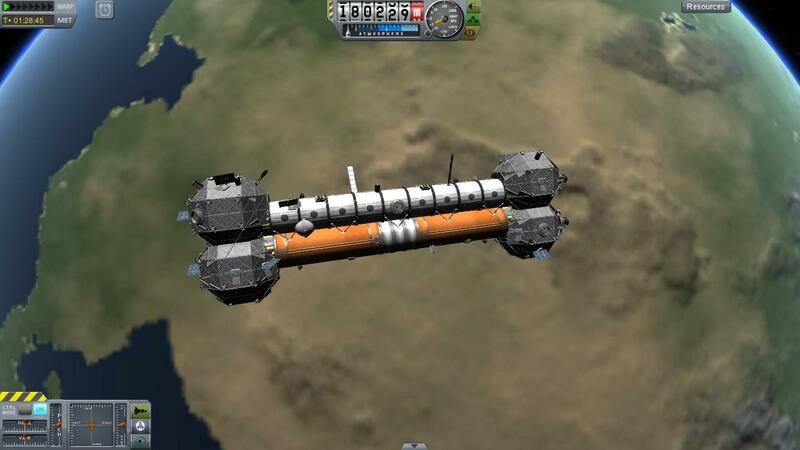 Multiple launches, orbital assembly, anything. Who can do it? I've always wanted one of these. Edited it a little, made the ends more like they should be. My dog would be amazed! it is supposed to. If you have never watched any of the Mystery Science Theater redubs of old movies, go do it. it's histarical. Wow, that looks awesome! What was its launch vehicle? Got a .craft file? That looks great! Fond memories of watching that show.